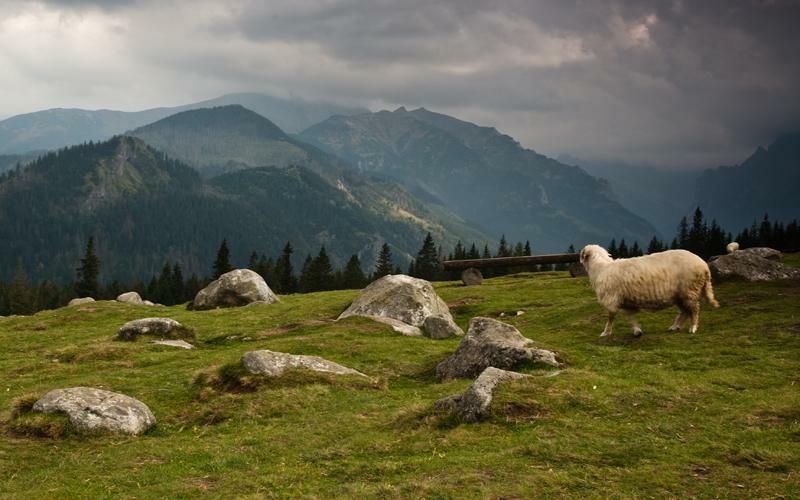 The trip takes place in the Pieniny and the Tatra Mountains. These two massifs have very different lie and characteristics. In the Pieniny Mountains we are far from the noise and everyday stress. 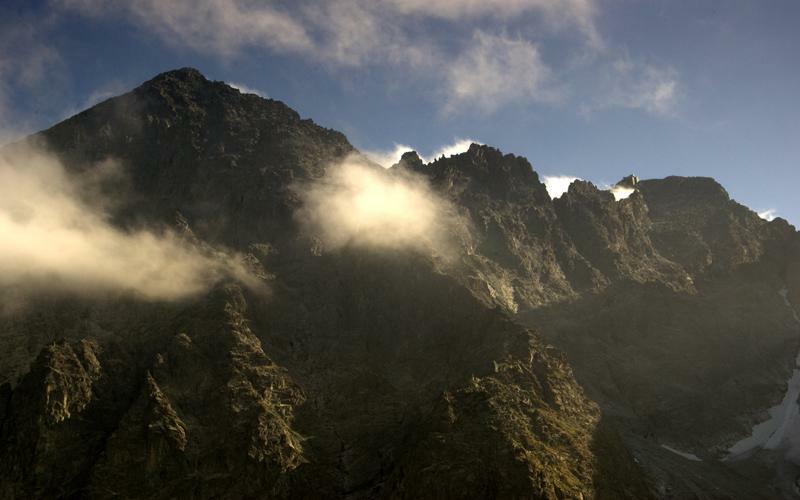 The mountains are gentle, with grassy peaks, offering impressive views and surrounded by deep, wild forests. This region has strong folklore and highland traditions. The shepherd’s life is very developed, wooden architecture has a magical charm. You will also taste the legendary hospitality and the joy of life of the Poles during night escapades by horse carriage, accompanied by a glass of vodka! In the morning you take a local bus to Szczawnica, from where you have a private transfer to Jaworki -a charming, small village in the valley of the Pieniny Mountains. Circular walk in the Litlle Pieniny Range. From the ridge you have a marvellous view of the Polish and Slovakian side, with high peaks of the Tatra Mountains in the background. 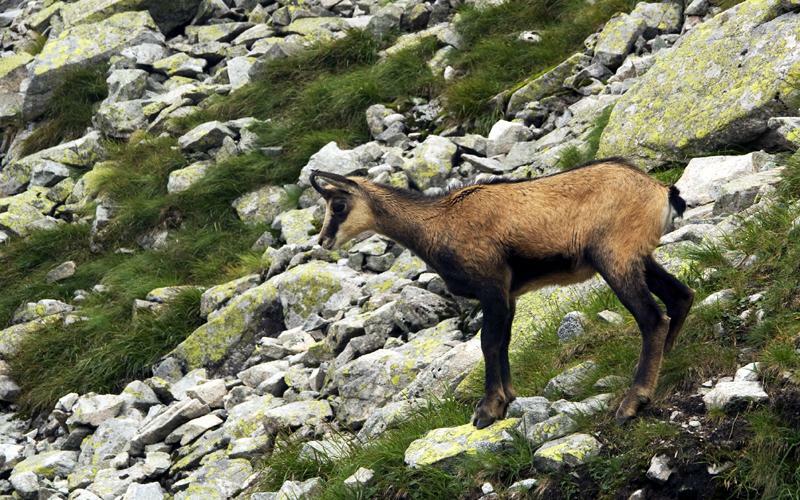 You walk along the ridge through the mountain pastures, where sheep are pastured – they give milk for the production of the famous local cheese. Note: for the great jazz concerts in Jaworki you have to be there on Friday or Saturday evening in June and September and on Thursday to Saturday in July and August. In the morning a taxi will take you to the beginning of the trail near the village of Szczawnica. Your trip will start with crossing the river Dunajec by barge, because of the lack of a bridge. You enter thus to the National Park of the Pieniny Mountains, famous for its characteristic limestone lie, eroded with the passage of time. You have to be prepared for steep climbing up to Sokolica (747m), from where you will have a splendid view downhill at the gorges of Dunajec. Your trip continues through the main ridge of the Pieniny Mountains till the highest peak 3 Crowns. Descending to Kroscienko and return by bus to Jaworki for overnight. Walking time: 6 hrs; Ascent 700m/ Descent 700m. After breakfast a private taxi will take you to Zakopane. On the way you will stop for visiting the castle of Niedzica, built by the Hungarians in the 14th century, and the church in Debno, one of the most beautiful wooden churches in Poland, famous for its polychromes. After reaching Zakopane and having a meal you can have a walk round the town: wooden church, promenade with the stalls and rambling vendors. Your pension is about 15 min on foot from the main promenade, its wooden architecture is typical for the region. b) Koscieliska Valley - the valley is similar to Chocholowska Valley, but it is shorter and more interesting, possibility to visit caves. 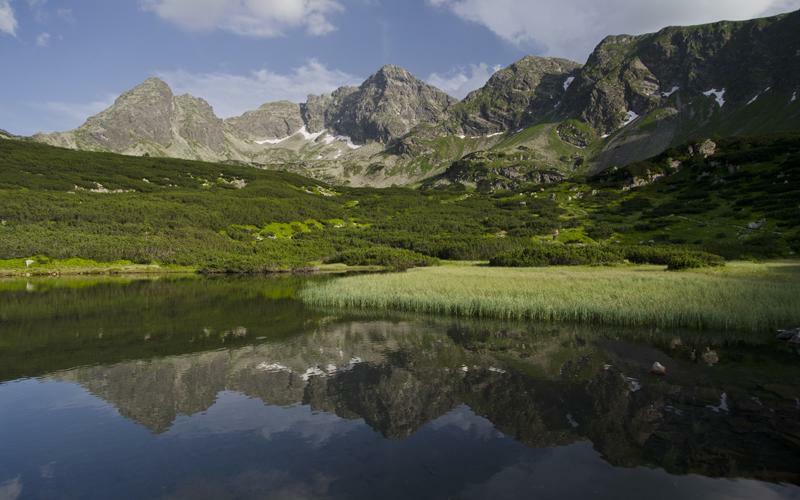 Climb to Iwaniacka pass or lake Smreczynski. Easy; 6-7 h, max +/- 600 m.
Return by a public bus to Krakow and flight back home. Practical information: It is possible to realize this program from 1st May to 31st October. 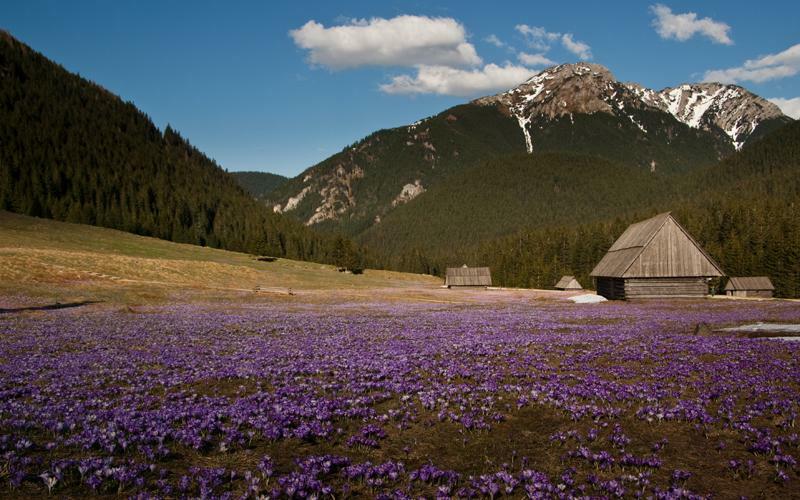 Still the trails in the Tatra Mountains can be covered with snow until 15th June. 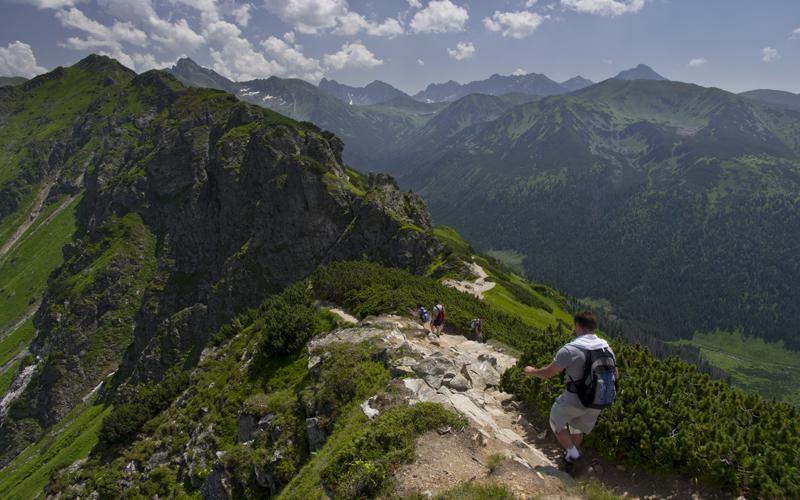 The trails in West Tatra valleys and peaks, even covered with snow, are not very difficult. 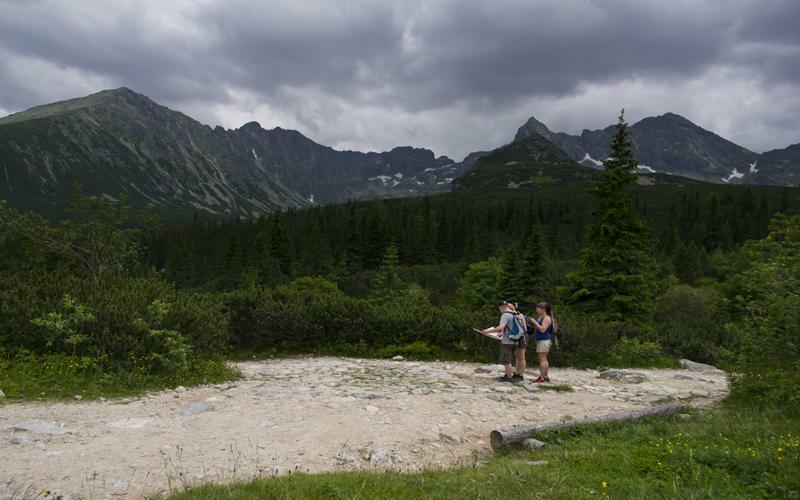 The trail in the High Tatra Mountains is not recommended before 15th June for people not used to walking in the snow. 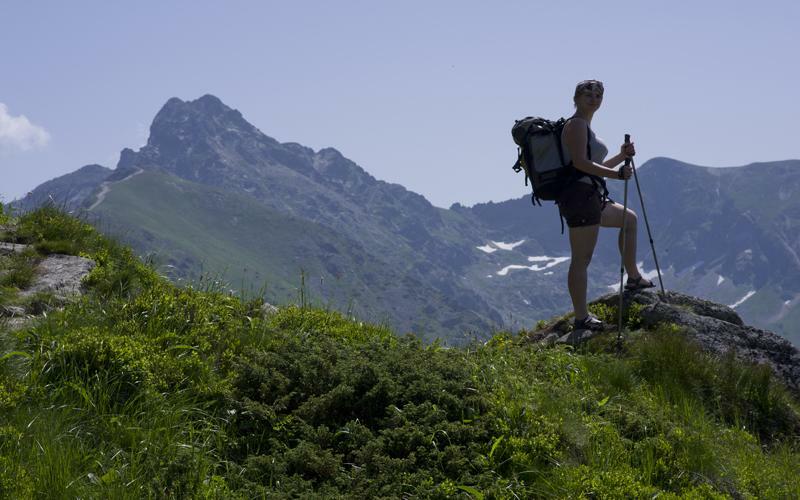 In this case we recommend you the alternative route along the ridge of Gubalowka.